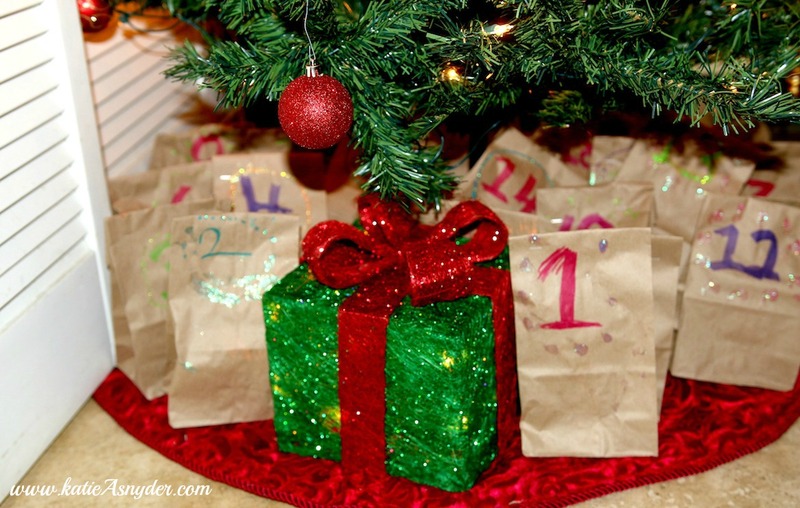 When he had said he wanted to do an advent calendar I thought I was going to have to hang twine and buy clothes pins, but when he asked for lunch bags, (which I did not have so we made another trip to the store lol), I was really surprised by his genius, not to mention I now have 24 hand decorated little bags from him. As a side note those bags will be placed in his artwork book. 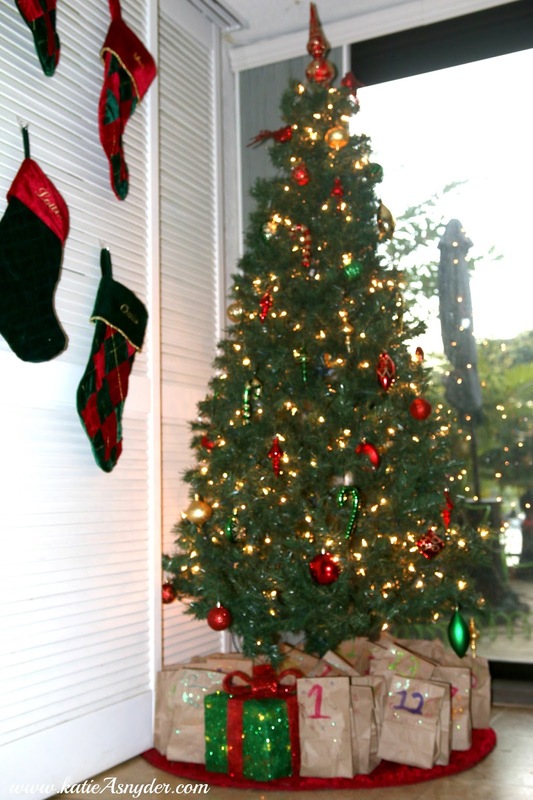 After decorating, filling, and stapling each bag shut, he then placed them under our empty tree, it’s the perfect place for them as it makes the tree look so full, but also every morning during Vlogmas, I can sit there and open a new little present, it will feel like Christmas morning everyday! I want to say a massively big thank you to Matthew for doing this for me, it was very sweet, and as promised I will now make one for you! And for any moms out there that want to do advent with their kids but don’t want them eating chocolate every morning, hit up your local Dollar Store and make one of these, they are really cool! Also Matthew filmed himself making the advent calendar and I have placed it on my vlog channel, so if you’d like to watch it you can find it here. That's such a cute idea! 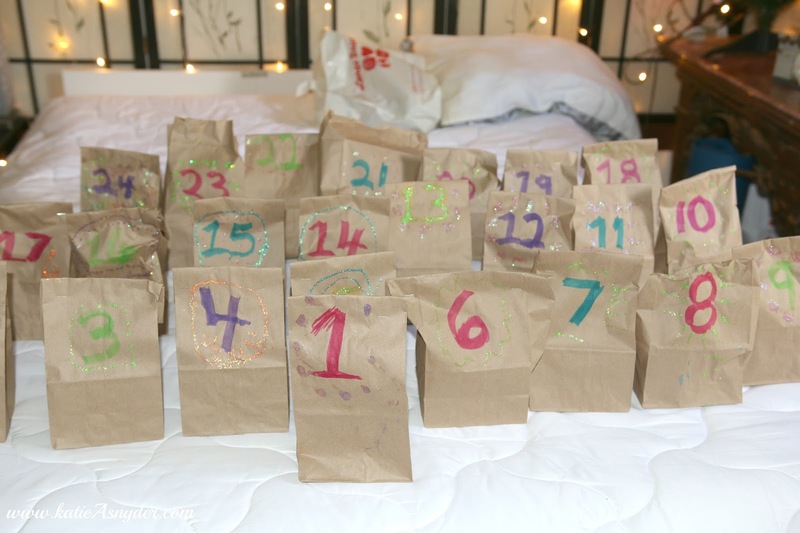 I think I'm going to do an advent calendar for my boyfriend next year! Love this idea! Thank you so much for sharing! !